This was in response to a DeSmog Canada article that illuminated the provincial government’s appalling failure to meet their emissions reduction target for 2020. The target, set in 2008, called for a 33 per cent reduction in B.C.’s carbon emission production, and successive governments cheerfully maintained that they were making genuine efforts to meet that target. Over the next decade, however, the government’s commitment to blowing hot air progressed from figurative to literal, as the grand total of the emissions reduction rate came in at just two per cent. The government had 10 years, multiple terms, and millions of dollars to do something about this, and they still missed the mark by 31 per cent. I can understand Weaver’s outrage. The situation is ludicrous. Less than a year ago, the LNG market conditions were apparently volatile enough to torpedo a multi-billion dollar mega project that had been years in the making. But that hasn’t stopped John Horgan from speaking with LNG interests while on his trade mission through Asia. During election campaigns through all levels of government, it has become a common practice for parties to tout the idea of reducing carbon emissions, promising to firmly adhere to greenhouse gas reduction targets in order to tackle climate change and, ultimately, save the planet. Time and time again, this country has failed to meet its emission reduction targets. Since the 2017 election elevated the Green Party’s parliamentary role from the voiceless underdogs to the key support for the NDP’s fragile minority, the balance of power has swung dramatically in their favour. If Weaver makes threats like this, the other parties have no choice but to listen. But listening to him and seriously considering his input is different from totally abiding by his demands, and the likelihood of this aggressive tactic working to the Greens’ benefit is uncertain. 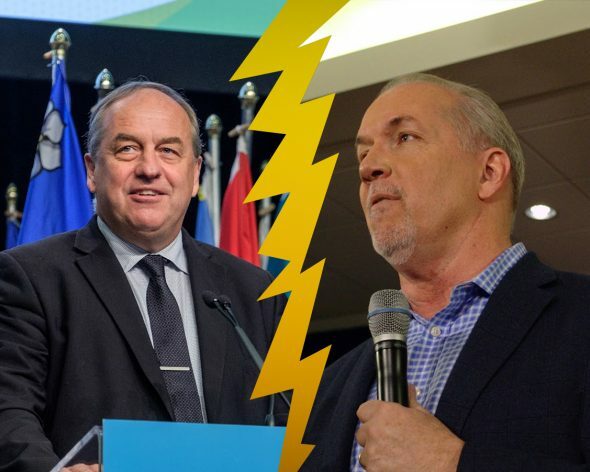 If Weaver called a motion of no-confidence that unseated the NDP party, it may send a message to the other parties and to the province at large, but there’s no guarantee that it would prevent LNG projects from coming to fruition in the future. For what it’s worth, I admire Andrew Weaver’s cause and dedication to taking an uncompromising approach here, but he may be creating a schism between the Greens and the NDP that could backfire rather than reduce emissions.